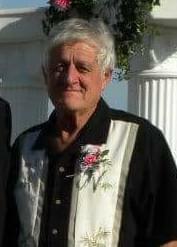 Charles Raymond Purcell, 74, beloved husband, father, grandfather and brother passed away peacefully at home on Monday, April 15, 2019 surrounded by his loving family. He was a 1962 graduate of Salem High School and was a United States Army veteran having served in Korea during the Vietnam War. Charles and Patricia E. Wall were united in marriage on January 1, 1994. Charles owned and operated Charlie’s place in Windsor. He was a member of the Chicago Plumbers and Pipefitters Local 597 and Centralia Plumbers and Pipefitters Local 653, American Legion Garrett-Baldridge Post #725 of Windsor, the Immaculate Conception Catholic Church and Knights of Columbus Council #8690 of Shelbyville. Charles had a strong faith that sustained him throughout his life. Charles was an avid gardener, always keeping everyone working even if they were at the house for a visit, enjoyed boating and camping at Lithia Springs and treasured time with his family and friends. Mass of Christian Burial will be held at 10:30 a.m. on Monday, April 22, 2019 at Immaculate Conception Catholic Church in Shelbyville with Father Marianna Sathuluri officiating. Private family burial will take place in Windsor Cemetery with military rites by the American Legion Garrett-Baldrige Post #725 of Windsor. Visitation will be from 8:30 a.m. until the time of service at the church. Memorials may be made in his name to the family. Lockart-Green Funeral Home in Shelbyville is assisting the family. Family and friends are invited to light a candle or share a story in Charles’s honor at www.lockartgreenfuneralhome.com. Charles is survived by his lovely wife, Patricia of Shelbyville; children: Matthew (Sabrina) Purcell of Champaign, Timothy (Jenni) Purcell of Newman, Elizabeth Purcell of Sidney and Thomas (Julie) Purcell of Granville; stepchildren: Melissa (Mathew) Daugherty of Charleston and John (Jennifer) Knierim of Villa Grove; 20 grandchildren; 12 great-grandchildren and 12 brothers and sisters. Charles was born November 23, 1944, in Salem, IL, the fourth of 13 children to Franklin Raymond and Pauline (Donitzen) Purcell. He was preceded in death by his parents; four brothers-in-law, one nephew and his beloved four-legged drinking buddy/friend, Chocolate.